All Donnelly homes currently listed for sale in Donnelly as of 04/21/2019 are shown below. You can change the search criteria at any time by pressing the 'Change Search' button below. If you have any questions or you would like more information about any Donnelly homes for sale or other Donnelly real estate, please contact us and one of our knowledgeable Donnelly REALTORS® would be pleased to assist you. "This magnificent 5 BR, 7 BA home spares no expense in providing an exceptional living experience both inside & out. Enter into the home showcased with lake and mountain views and relax in the great room with a cozy wood burning fireplace. Just off the great room is the gourmet kitchen and access to the covered deck. The formal dining room turned office features a gas fireplace and small wine bar. The spacious but elegant master bedroom is also on the main level, with an oversized soaker tub, til"
"Immaculate Kevin McKee designed home. 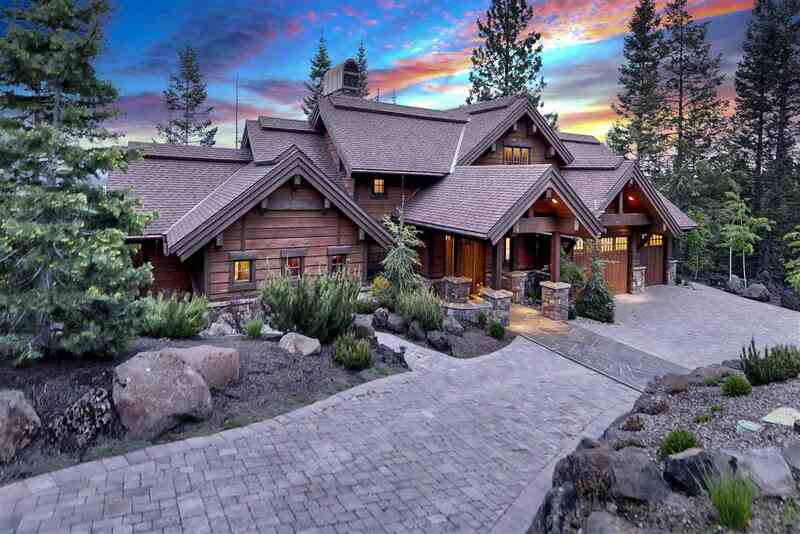 Custom high-end craftsmanship including magnificient log beams and woodwork. Wolf and Subzero appliances, one of a kind organic steel tree firepit in great room, roof snowmelt system, and surround sound throughout. Sits on nearly 1 acre borded by Poisson Creek and Nat'l Forest for supreme privacy and sounds. Enjoy the outdoor gas firepit and private patio with fireplace off the main level master suite. Recently installed oversized hot tub and an upgraded com"
"Spectacular 76 acre Estate property, Expansive 360 views. 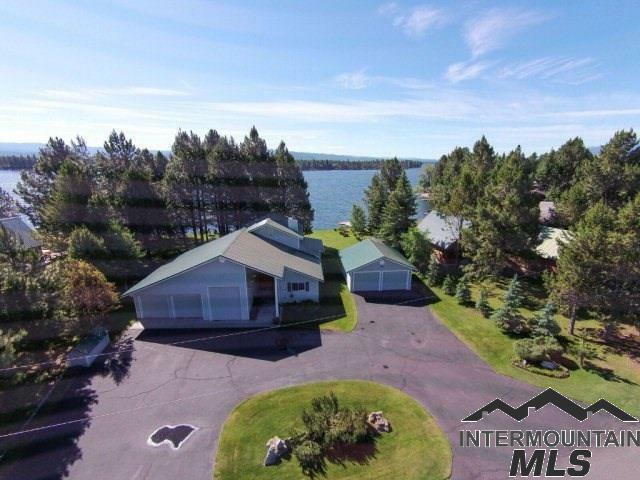 Situated south of McCall & short distance to Tamarack ski resort w/views of resort & lake. Completely Turn Key, Gated & fully fenced, Custom 5044 sq.ft. Log home w/Separate living quarters, 3 full kitchen areas. Amazing master Suite w/library, Sauna, private balcony. 4000 sq.ft outdoor patio space. Multiple outbuildings, 36'x60' barn, 56'x60' shop/equip shed. Ponds, pasture, crossed fenced, corrals. Only 90 miles from Boise & 15 minutes"
"This gorgeous custom home is bordered by Poison Creek and has one of the best outdoor living spaces in Tamarack. Enjoy the private hot tub, fire pit, and paver patio off the back deck just yards away from trails to give you ski and mountain bike access. This 5742 SF home is furnished with NEW high-end luxury furnishings and features beautiful combination of walnut, travertine, and high end carpet flooring. 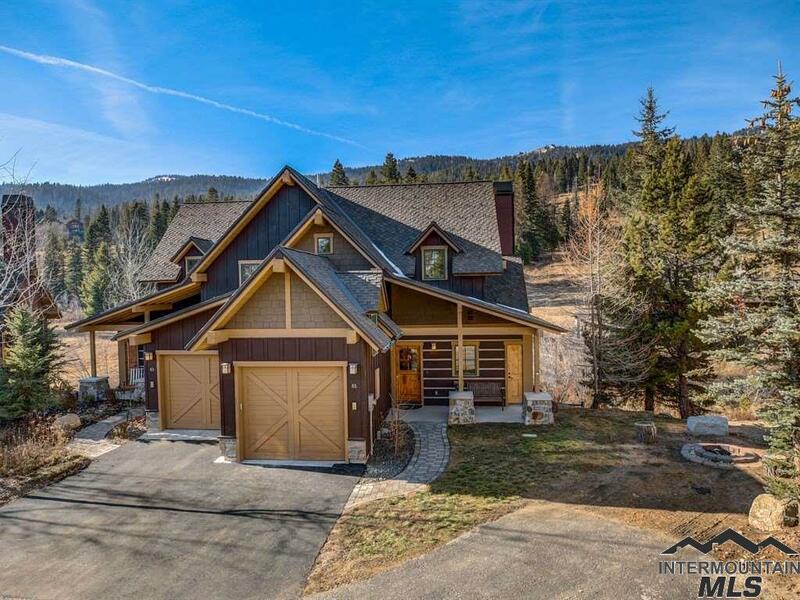 The slate entry with dual staircase opens into a fabulous great room w/ vaulted ceilings a"
"Spectacular view lot in Pinnacle Estates located in Tamarack Resort with quick access to ski in/ski out and USFS. This 6800+ SF estate home boasts 4 bedroom suites, 7 bathrooms and a pilot's quarters including kitchen and full bath. Amenities include theater room, wine cellar, wet bar, smart home technology, ski/golf lockers radiant heat, audio/visual and intercom system throughout, hand-carved travertine fireplaces, coffee/wine bar, snow melt driveway and deck, spacious 3 car garage, and gorgeo"
"Outstanding location in Tamarack Resort! 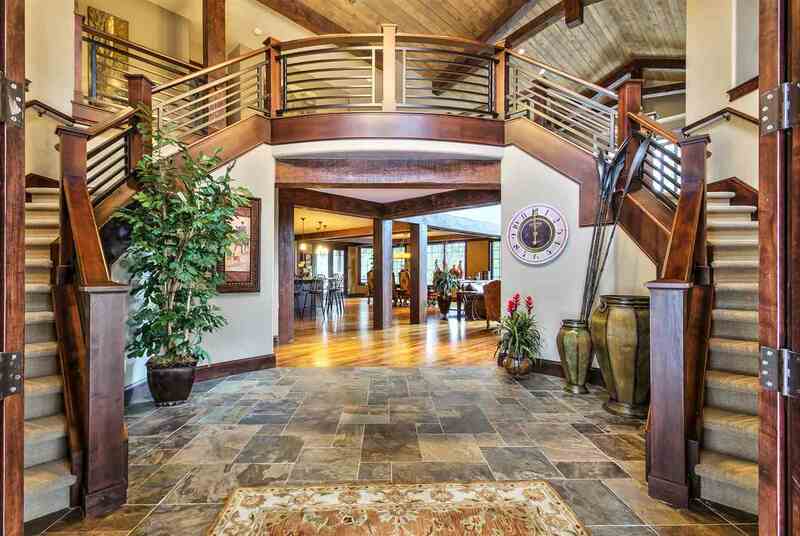 This 4 BR chalet sits at the end of the Staircase Ct w/direct access to the Buttercup Ski Run off its the private deck. 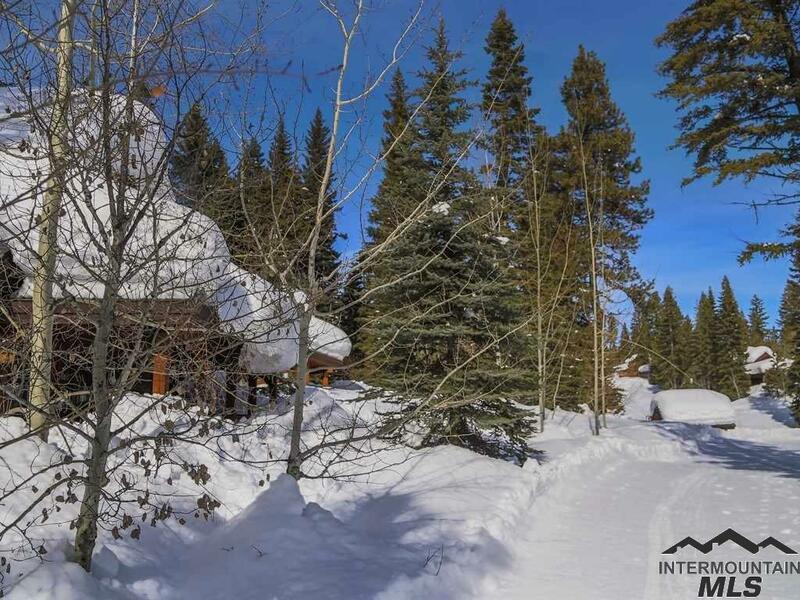 Adjacent to the Buttercup Chairlift, views of Lake Cascade and the Salmon River Mountain Range, and surrounded by common space, this chalet provides an outstanding outdoor experience. 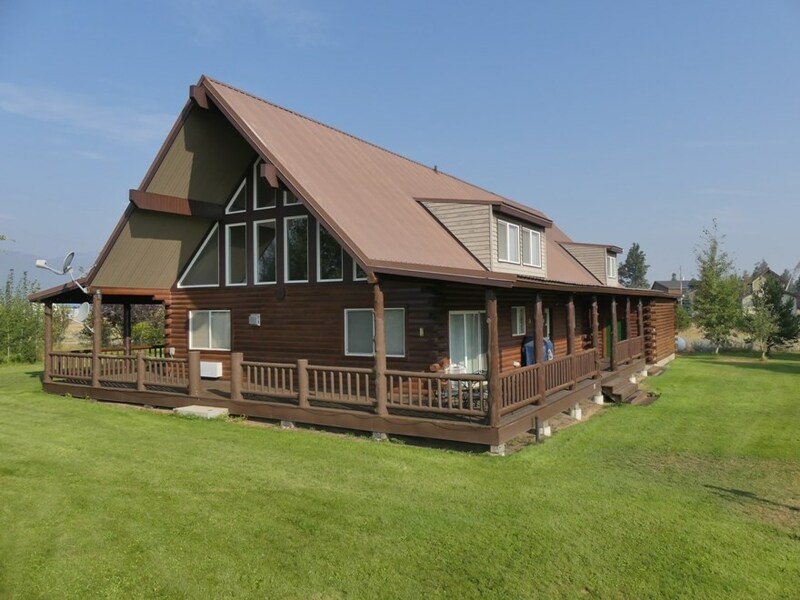 The Canoe floor plan features the coveted wrap covered deck w/ outdoor FP, spacious, open-concept great room, master bedroom upstairs w/ lounging area arou"
"Tamarack's popular Canoe Chalet floor plan. 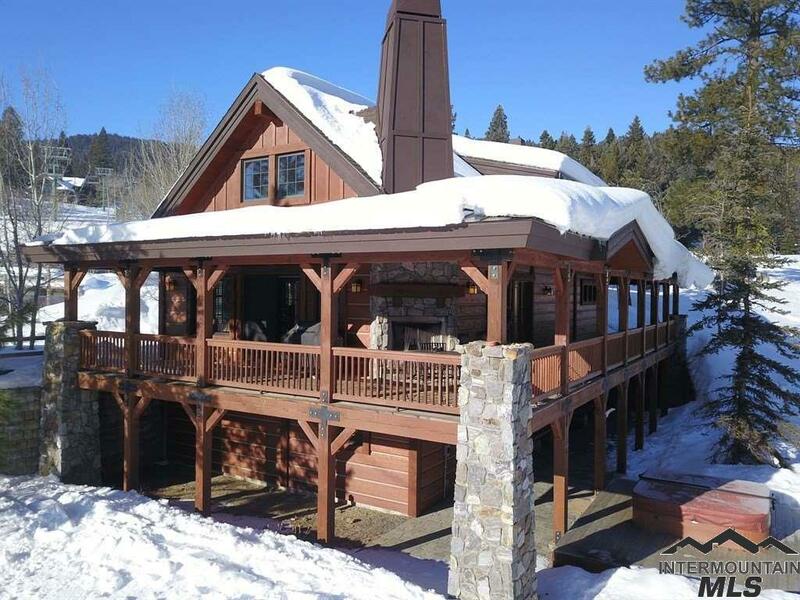 This 4BR/4BA 2800+ SF home has direct ski in/ski out access on Staircase Court. Take in the expansive lake & mountain views from the wrap-around covered deck while enjoying the outdoor wood burning fireplace. Large open floor plan on mail level with FP in great room, adjacent dining & kitchen areas and 2 guest rooms. Master suite and living area with gas FP on top level, and 2nd master with large entertainment area on basement level." 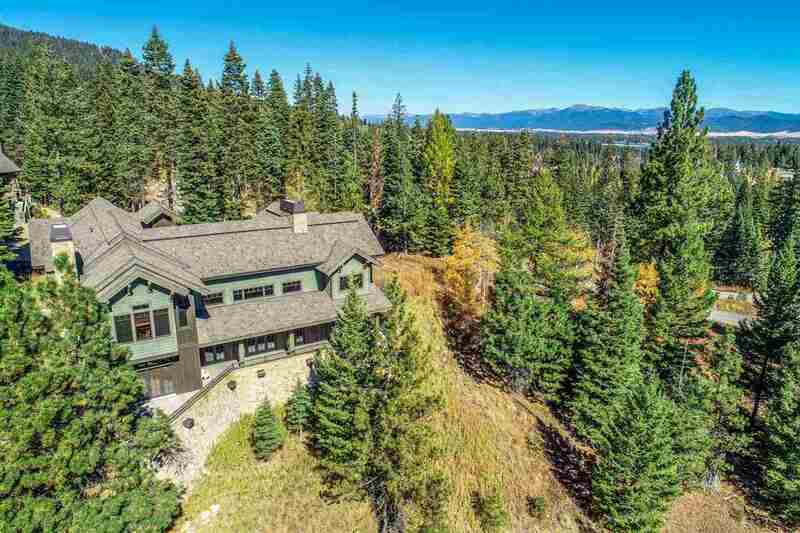 "This 2,821 SF custom chalet home is located at the base of the Whitewater neighborhood, overlooking the forest and the mountains. Bordering the Buttercup Trail system for great access to mountain biking, hiking and skiing, and a short walk to Discovery Square. Featuring open dining room and kitchen areas for entertaining, with access to the deck for easy summer dining outside. Spacious master suite with large walk-in closet, double sinks, and a soaker tub. Three more comfortable guest suites for"
"Pristine lakefront property with gorgeous view! 124 ft. of lake frontage on a deep cove of the lake. Private drive on dock for boat. 3 spacious bedrms, bonus rm, hardwood floors, island in the kitchen with SS appliances. Updates include roof, carpet, hardwood, appliances, jacuzzi, HVAC, on demand tankless water heater, wood FP. Store you toys in the 5 car garage with RV bay & hook up. Enjoy relaxing on the lakeside deck. Meticulously maintained property by owner. 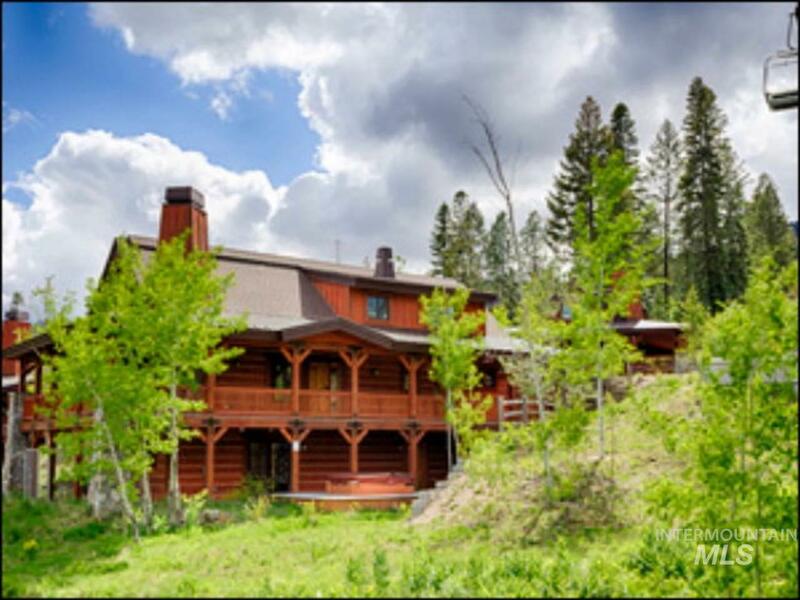 Ready for immediate sale and o"
"Sawtooth Chalet in Tamarack. Enjoy great access to the poma ski lift and some of the best cross-country skiing, hiking and biking that Idaho has to offer right off your back deck. Cozy up to 1 of 3 fireplaces, including the outdoor wood burning fireplace on the covered, wrap around deck. Offered fully furnished including hot tub. Featuring granite counter tops, stainless steel appliance, alder cabinetry, hard wood flooring and open concept great room perfect for entertaining. Location is key!" 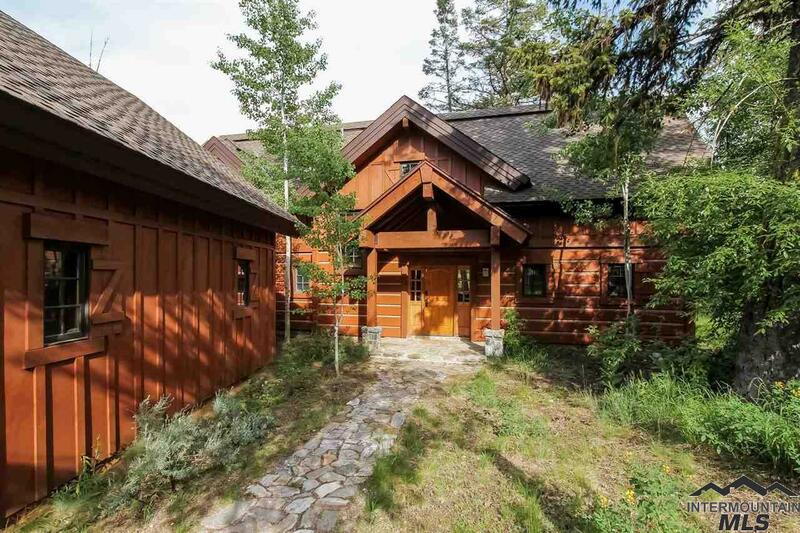 "Tamarack Resort's 3BR Sawtooth Chalet. 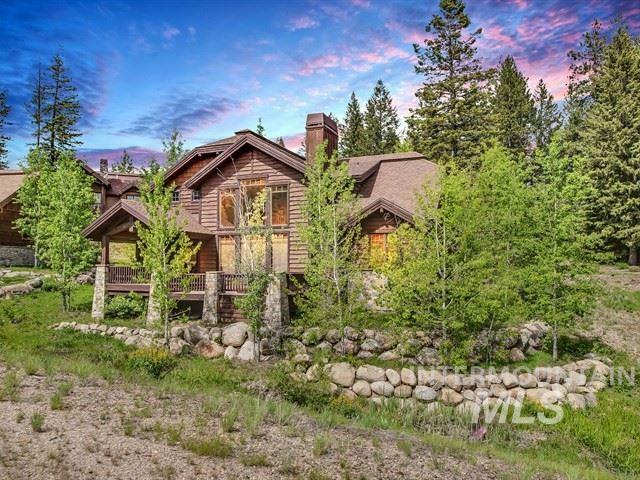 This 1,818 SF home has all that you are looking for in a ski home! Detached 2 car garage with covered entry to main house, adjacent to the groomed Cottage Trail system, nestled up to mature trees and Poisson Creek, and a private hot tub just off the expanded covered deck with wood burning fireplace. Featuring hard wood floors, granite counters, alder cabinetry, stainless steel appliances, flat screen tv's and a wood burning fireplace in great room." "Tamarack's Bitterroot Chalet with an oversized, expansive deck. This 3BR/3.5BA 2,400 SF home has a 2 car detached garage and is one of only 3 chalets on this small road. The deck backs up to a wooded open space with the sounds of a nearby creek. Offered fully furnished, the main level features a full kitchen with stainless stainless steel appliances, granite counter tops and alder cabinetry, a breakfast nook, dining area with direct access to the deck, living room with high windows and wood burn"
"Tamarack Resort's Bitterroot Chalet. 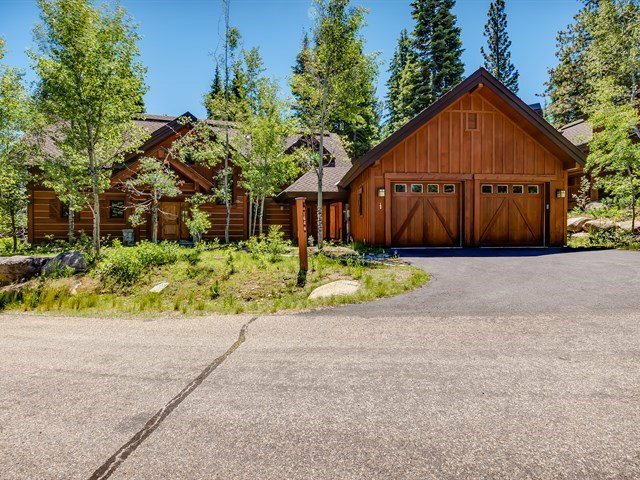 This 3BR/3.5BA, 2,400 SF home sits adjacent to the groomed Cottage Ski Trail leading back to the Rock Creek Poma Lift. Easy access to Foothills Park for cross country skiing, fat tire biking, snow shoeing and hiking. Featuring hardwood flooring, granite counter tops and alder cabinetry. Vaulted ceilings in the great room with expansive window provide great sunlight throughout. 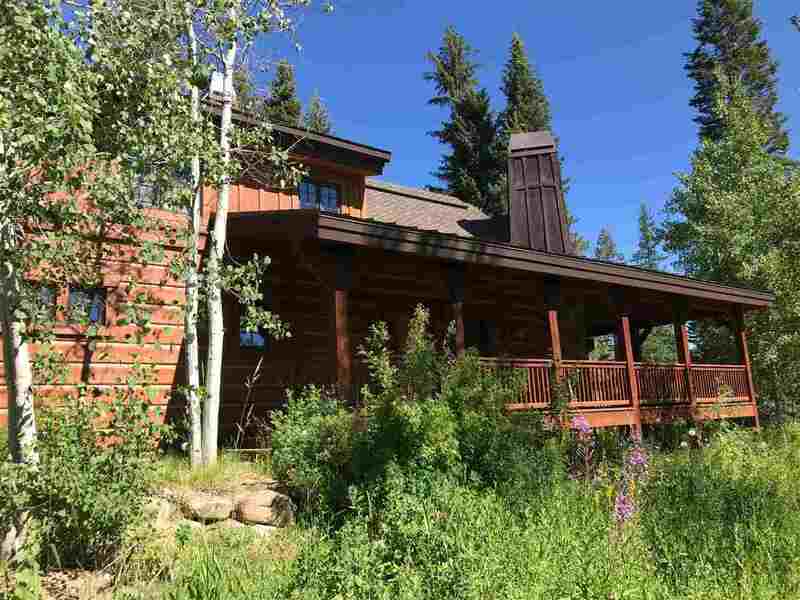 Wood burning fireplace, dining area and fully equipped kitchen with additional stor"
"Perfectly situated overlooking Lake Cascade, this custom home is the ideal mountain retreat. Relax on the huge deck and enjoy the mountain scenery, views of Lake Cascade, and the peacefulness that comes with this private setting. The interior offers a seamless blend of modern finishes with rustic Idaho elements. 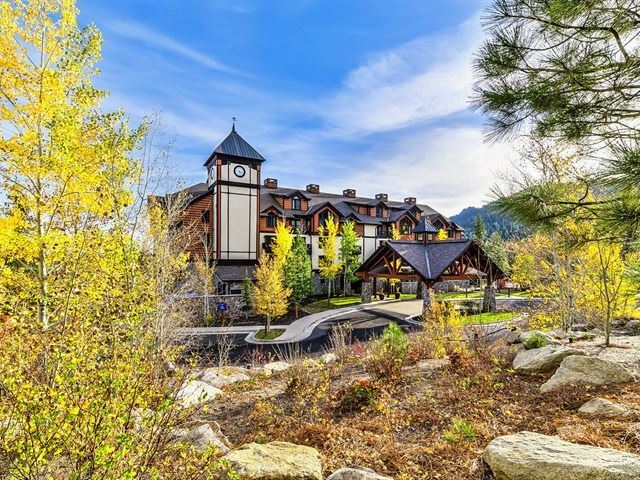 Located just minutes from skiing and mountain biking at Tamarack Resort. From the large great room to the theater room, this home has it all." "Tamarack Resort's popular Sawtooth Chalet. At 1,818 SF, it's the perfect size and layout for a vacation home. Open concept great room and kitchen for entertaining, large master suite with additional seating area and extra storage closets, and two guests rooms on main level, including one in suite. Over-sized covered deck with outdoor wood burning fireplace and open air hot tub. Kitchen features knotty alder cabinetry and stainless steel appliances and is fully turn key. Wood burning fireplace. L"
"Excellent ski in/ski out location in Tamarack Resort! 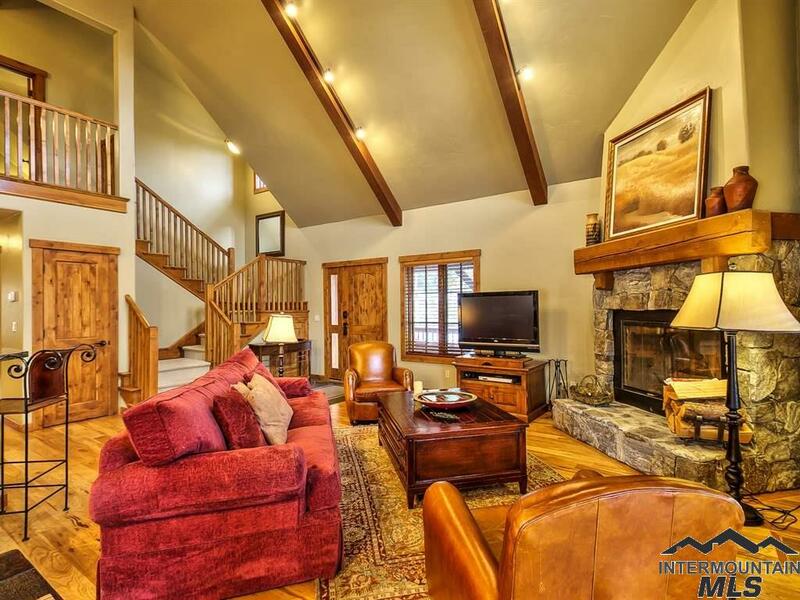 This 3BR townhome sits at the base of the Encore Ski Run and just adjacent to the Tamarack Express Chairlift. Enjoy gorgeous mountain views and watch the chairlift and skiers from the covered deck. Although it's all about LOCATION, this townhome also has recent extensive upgrades with new carpet, new slate and wood floors, interior and exterior paint, updated fixtures, barn wood panel accent walls & new vanity, outdoor fire pit, water heater "
"Lakefront custom home on the Goldfork arm of Lake Cascade. Enjoy early season water access and the most incredible views of the lake and west mountains all year long. Large granite boulder retaining wall on lakeside w/ composite steps down to a platform. Featuring a flagstone entry, open great room w/ expansive windows & 2 large decks that capture views, rustic hickory cabinetry, granite counters & Mosaic tile backsplash w/large pantry in kitchen, hardwood floors & slate flooring with hydronic h"
"Beautiful custom log home on 1.2 acres ( 2 Lots) overlooking the creek. 2848 SF 3 bedroom 2.5 bath + large Bonus room (22x25)& two additional loft areas. (1 bedroom needs closet & window, 1 needs window for official bedrooms) Possible to make 5th bedroom with 2nd loft area. Custom Log interior, open great room, wrap around covered decks perfect for entertaining. Large 4 car garage with shop area with covered breezeway. Great extra space for multiple trailer parking, plus Additional 18 x 24 pull "
"Beautiful 1.5 acre park like setting with this property, 3 individual lots with 3 septic permits, 2 power hook ups, including a 28' X 70' pole barn to be used for covered parking or storage, double car garage/shop and nicely maintained manufactured home. The home offers 1300 square feet with open living area, vaulted ceiling, and newly remodeled kitchen. Single level home with three bedrooms, two baths, and large jacuzzi tub in master bedroom. 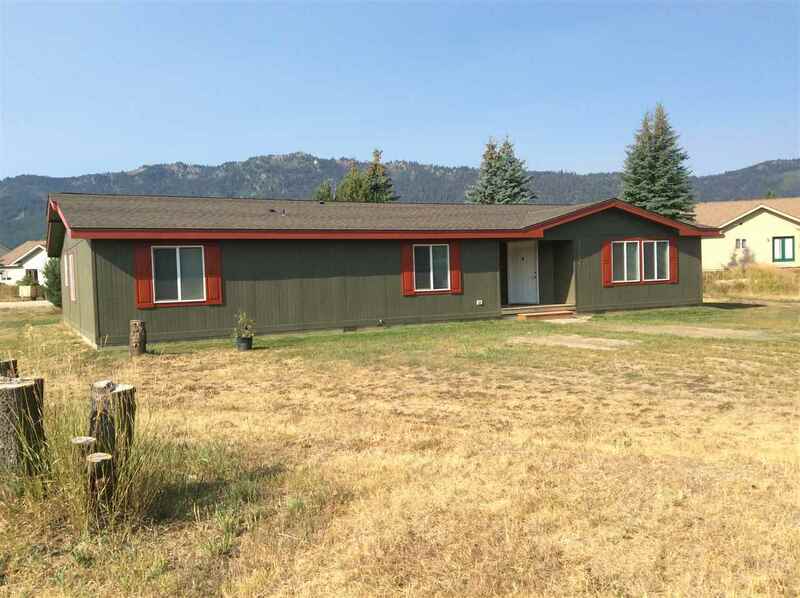 Close to Boulder Creek State Park with boat ramp"
"This 651 SF condo at the Osprey Meadows Lodge is completely turn key including a full size kitchen with polished granite slab countertop, 4 burner range, knotty alder cabinetry and pantry. Bathroom features oversized jetted tub and walk in shower, granite vanity, porcelain tile flooring. Open living space with gas fireplace and sleeper sofa, while the double doors into the bedroom offer great privacy. Enjoy the views from the top floor, end unit with vaulted ceilings and private balcony." 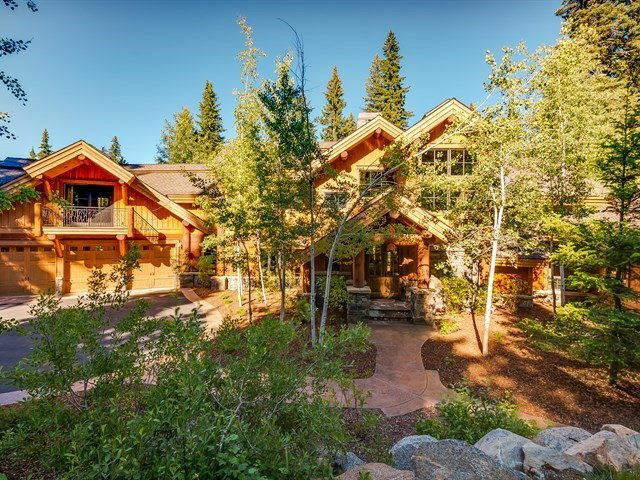 "Best priced home in Tamarack Resort! 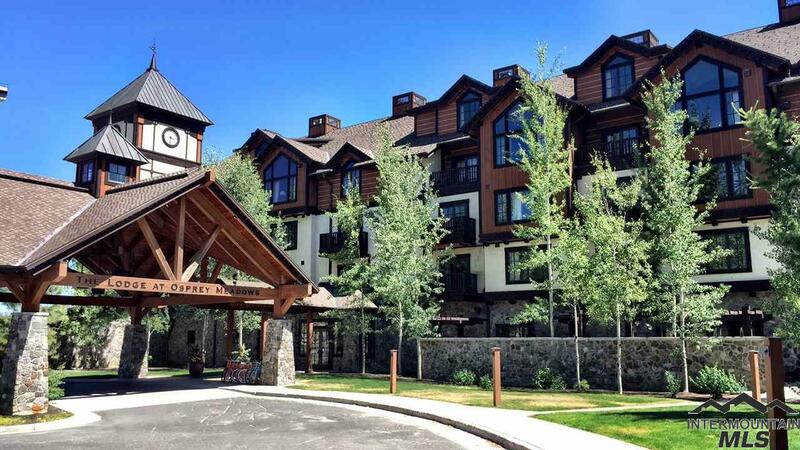 This studio condo in the Lodge of Osprey Meadows is a great opportunity to get into Tamarack as an awesome ski pad and/or rental investment. This 3rd floor unit has a small kitchenette, full bathroom w/ jetted tub, cozy living space with sleeper sofa & gas fireplace. King size bed and private balcony over looking the Arling Center with mountain views. Enjoy the easy access to the fitness center, spa, hot tub, pool, Fern & Feather Restaurant and Bar & undergro"
"A great size family home, 2560 SF. The open floor plan with 4 huge bedrooms, 2-1/2 baths, and laundry room. 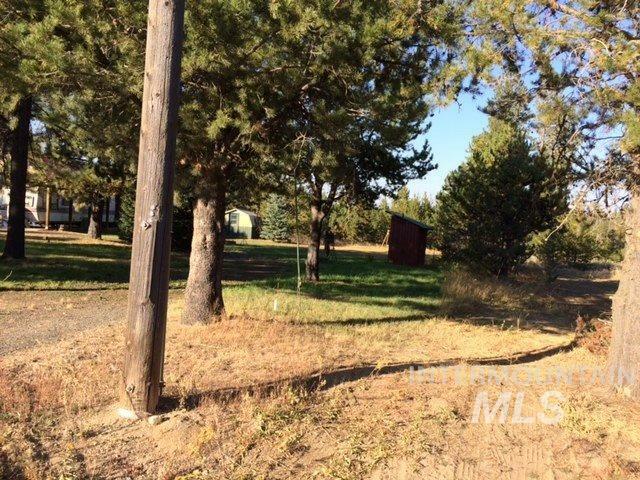 One half acre, close proximity to Tamarack Resort and Cascade Lake." "No CCR's or HOA's! 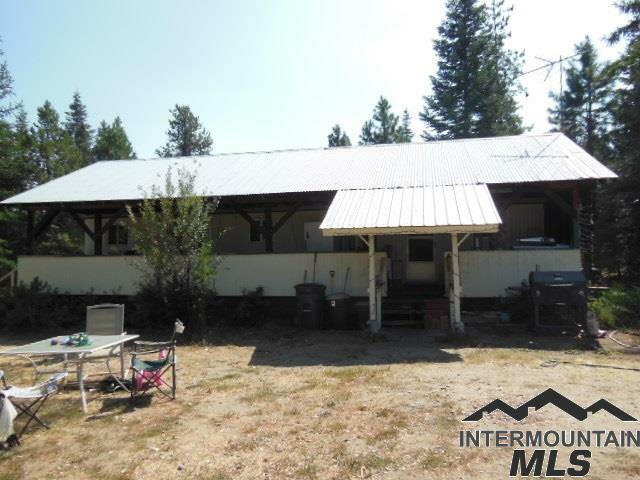 Nice level property with views of the West Mountains and Tamarack. Trailer is in good shape, warm and dry. Quiet area with a fire pit in the back yard. The place is completely furnished. One car garage or large storage shed. 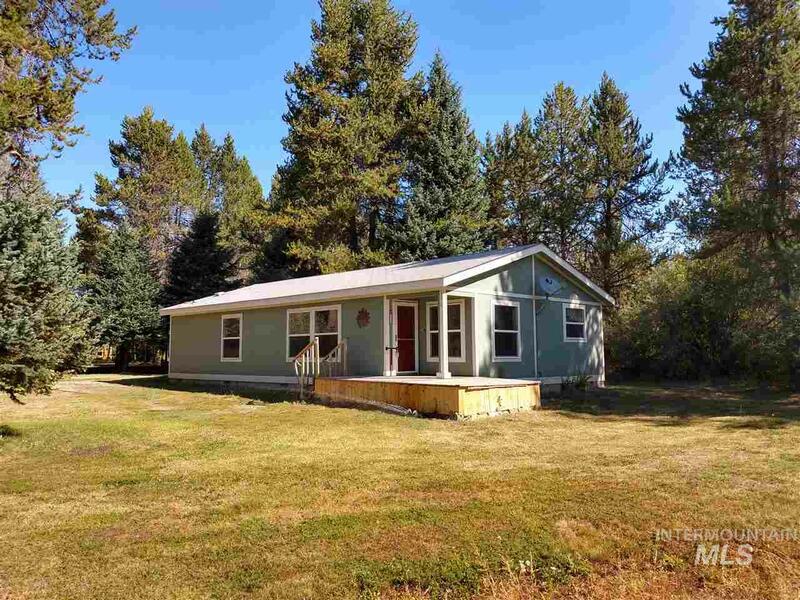 Great location near Lake Cascade and West Mountain. Close to Donnelly and McCall. $24.00 per month for sewer plus a well on the property." "Fantastic Recreation Property on Mud Creek. RV is staying under the Metal Cover. There is a Bath House that includes a shower and Washer/Dryer hookups. 2 Extra RV hookups for company to bring their Toys too. Community Well and City Sewer Service."